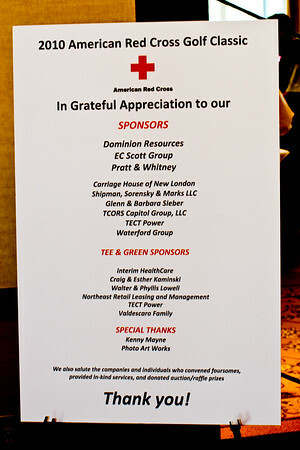 What magnificent weather we had this day when the American Red Cross Connecticut Chapter sponsored the Isle of Lakes Golf Classic. The golf course adjacent to the Foxwoods Resort Casino was designed by renowned golf architect, Rees Jones, and is owned by the Mashantucket Pequot Tribal Nation. Golfers enjoyed 18 holes of golf, a luncheon and dinner along with many raffles and prizes.